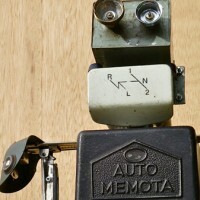 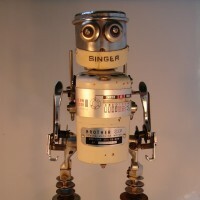 Many of the robots here are already sold, and Martin is always making more. 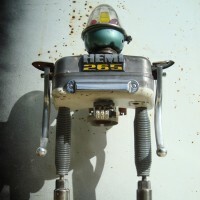 Pieces can also be commissioned. 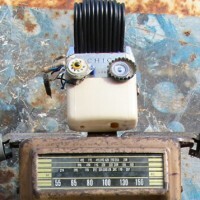 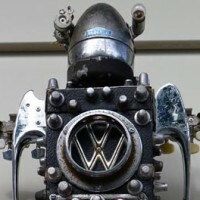 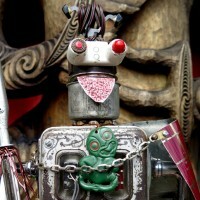 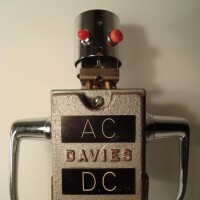 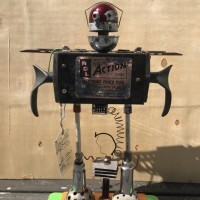 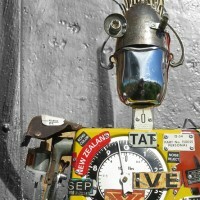 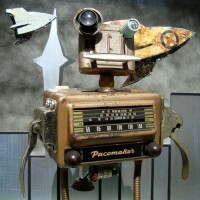 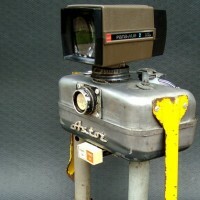 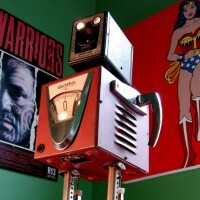 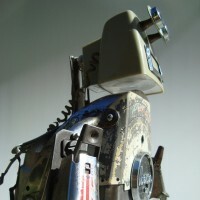 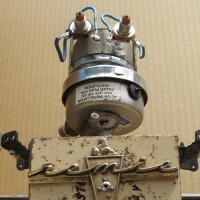 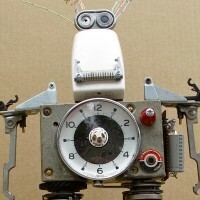 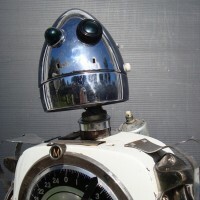 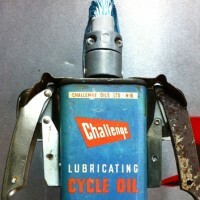 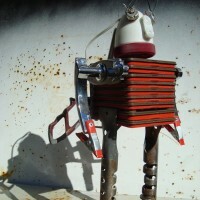 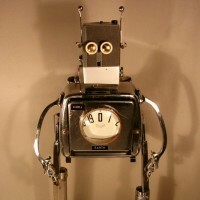 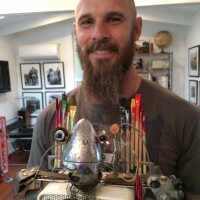 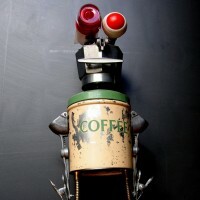 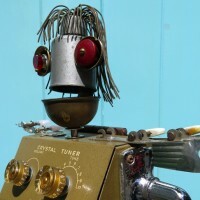 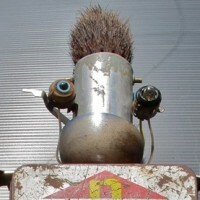 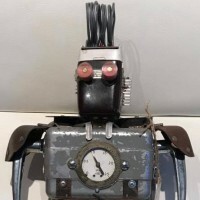 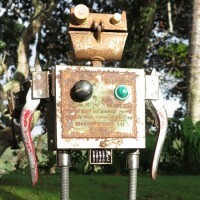 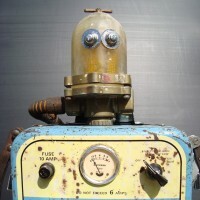 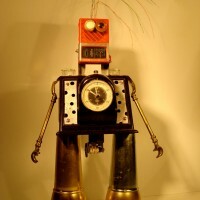 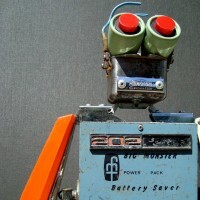 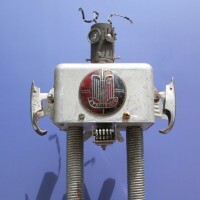 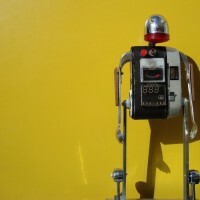 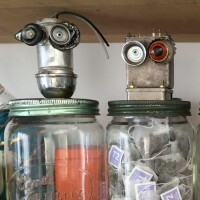 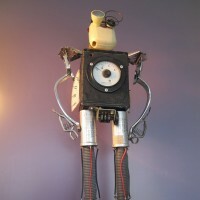 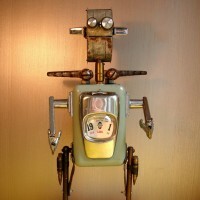 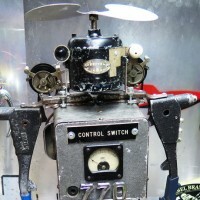 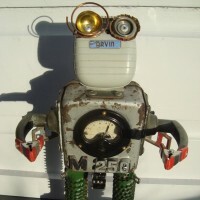 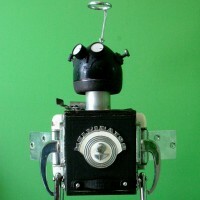 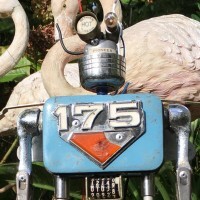 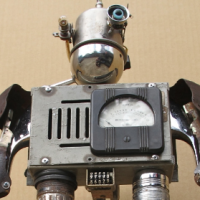 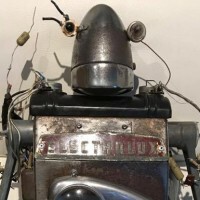 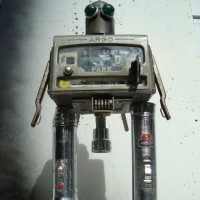 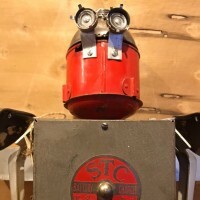 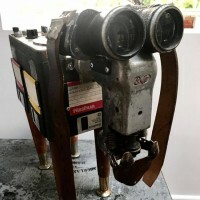 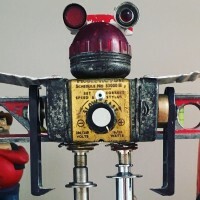 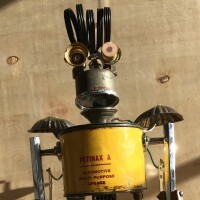 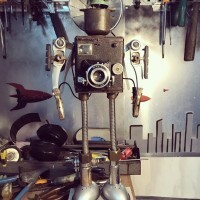 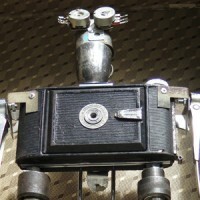 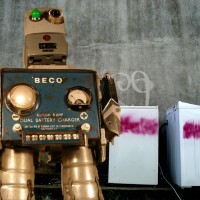 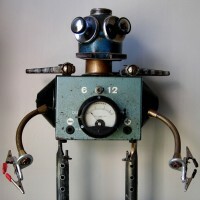 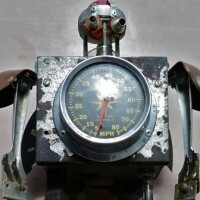 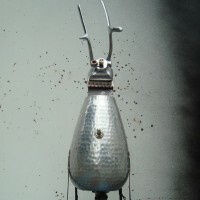 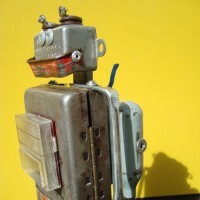 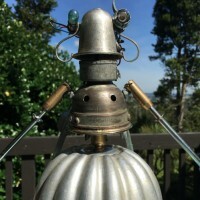 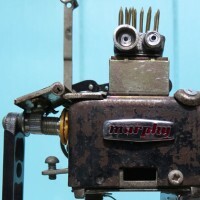 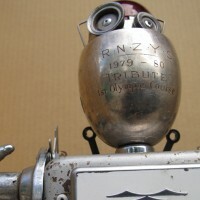 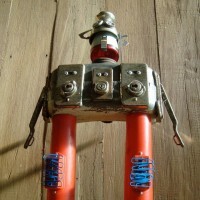 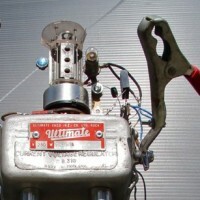 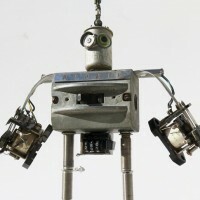 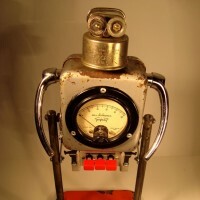 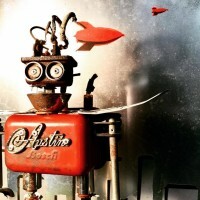 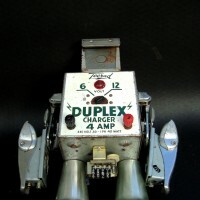 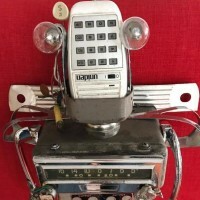 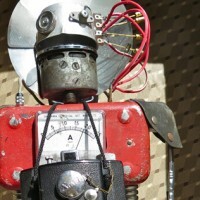 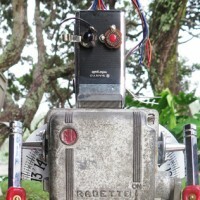 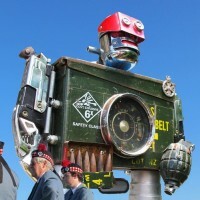 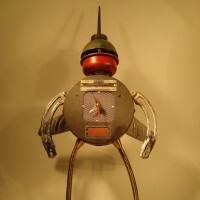 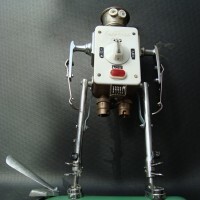 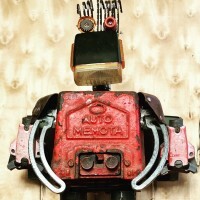 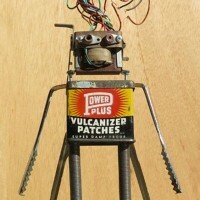 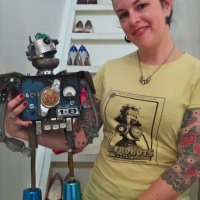 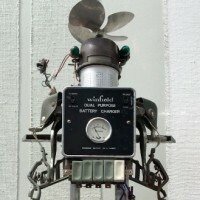 If you are interested in commissioning a piece or buying an existing robot, contact Martin to see what’s available. 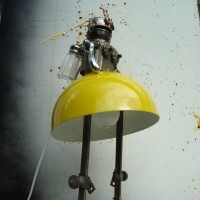 You can also see what is currently available for sale. 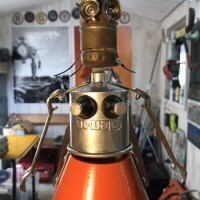 HEAD: Junk grease gun, scrap box brownie, retro oil can, tin pot coffee pot, scrap aluminium glasses case, 60’s torch, pre loved oil cans, funky old ice scoop, 60’s fan, Nana’s kettle whistle. 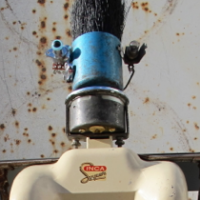 toot toot. 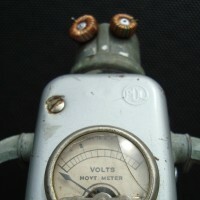 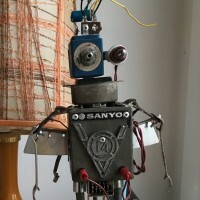 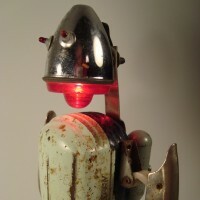 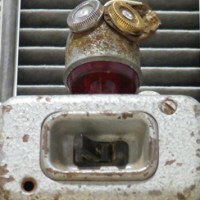 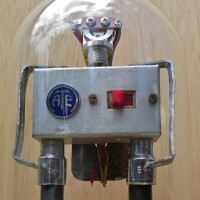 FACE: Antique knobs & knockers ooh errr missus, retro bike lamps, tea strainers, recycled resistors, funky robotic lights, old switches. 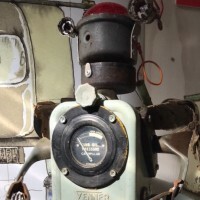 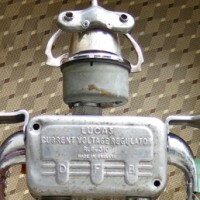 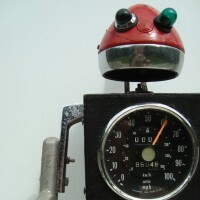 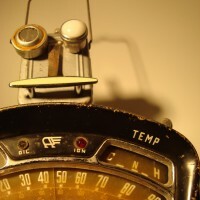 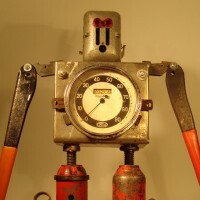 BODY: Retro battery charger, Pre loved kitchen scales, industrial gauges, coffee pot, kiwiana bush kettle, 60’s lamps, 50’s fan heater, vintage measuring jug, funky foot pump. 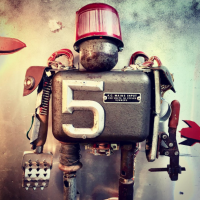 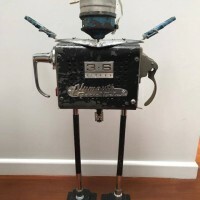 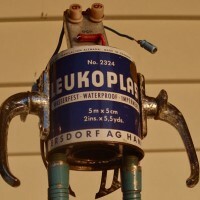 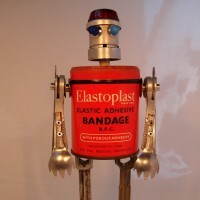 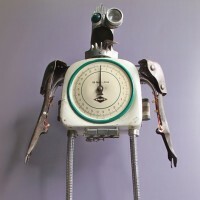 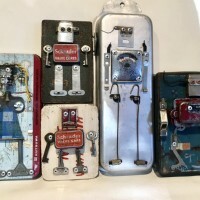 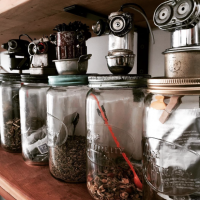 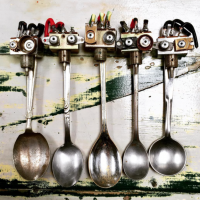 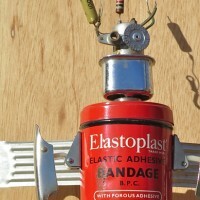 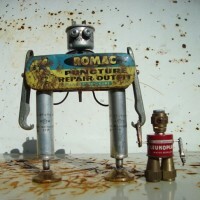 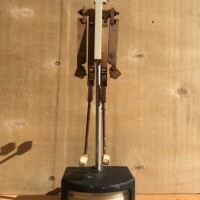 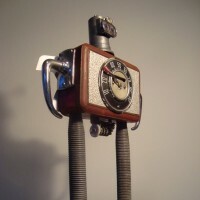 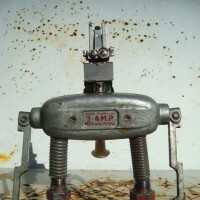 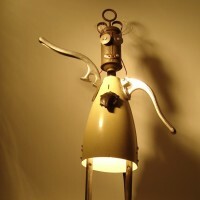 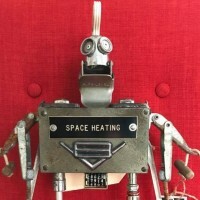 ARMS & LEGS: Scrap door handles, vintage whisks, shoe lasts, window fasteners, old typewriter parts, rusty spanners, garlic crushers, old clips, retro lamp bases, broken umbrellas, paint scrapers, retro can openers, early shaver parts, sugar tongs.